Best offline android games – Games that you can play without internet. Best thing to do, when you’re getting bored – is Play Games. 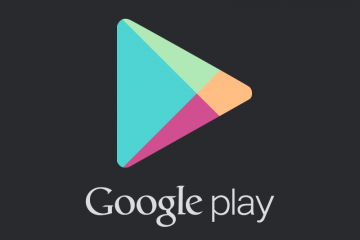 On Play Store, millions of Games available, Which you can play on your Android devices. According to a survey, 60% Android users play games, when their internet doesn’t work. So, downloading some best Offline Android Games is a good idea. 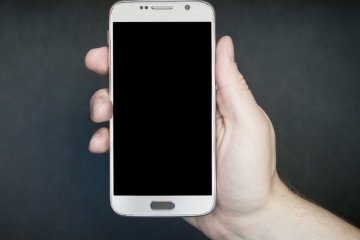 Many Android Games that uses the Internet connection, shows some annoying ads. And, those online games become useless, If we don’t have an Internet connection. Maybe you’re searching for Offline games. Because you have limited data pack. Or you don’t want to waste your data in additional files of the games. Whatever is the reason, All you need some games which you can play Without internet. Unfortunately, Play Store doesn’t have any specific category for offline Android Games. 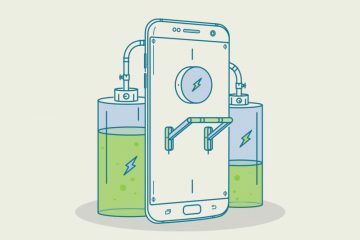 Here in this article, I am going to list down some best offline Android Games. Which you can play when you don’t have the internet connection. 1 Best Offline Android Games. 1.3 Six! – Best offline Android Games. 1.14 Summing-up Best offline android games. If you ever played any Mario Game then you will definitely love this Game. The game starts with a funny story – Some evil monsters, want to turn the planet into the square shape. And all you need to do is kill all monsters, by jumping on them. Although, there are many red ball games available on Play Store. But personally, I felt this game quite interesting. Currently, this Game has 75 levels and after every 14 levels, you need to fight with monsters boss. If you don’t like the color of ball character then, you can change it with 7 other balls. You will amaze to know, Official MERCH (T-shirts) of this Game also available. Which you will like to buy after playing it. Is this Game requires internet connection?. When you launch this Game, It asks to log in. That time you need an internet connection for a second. But still, If you don’t have an internet connection, then Game will automatically skip that login part. And you can play this Game Offline and Free. Although, If you want unlimited lifeline, then you need to pay $2 (120 INR). Requires Android Version – 4.0.3 and higher. Get Red Ball 4 from Play Store. It is the best free offline Android Game, Which you will love to play. Maybe you already heard about this Game, Because this game has 10 million downloads on Play Store. You don’t need any skills or active mind to play this Game. 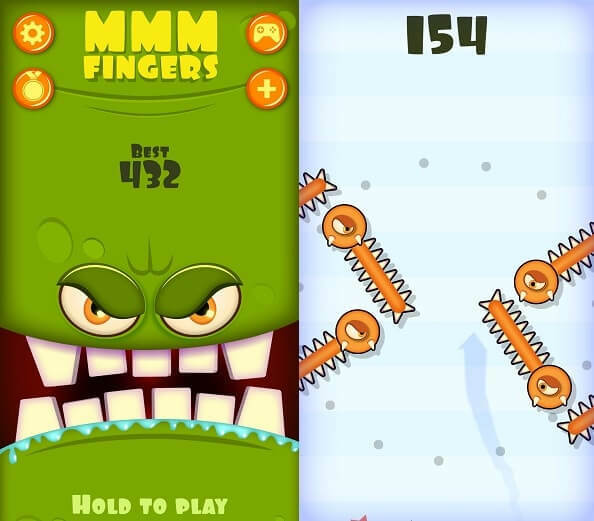 All you need to touch your finger on the screen and try to move without touching Hungry monsters. There is one rule of this Game, you can’t lift your finger, you need to complete game in the single touch. This game doesn’t require internet, but if you want to, update your score on the leaderboard. Then you need an internet connection, to Compete against your friends. This game is developed by creators of small fry and Flappy Golf. Get Mmm Fingers from Play Store. Six! – Best offline Android Games. 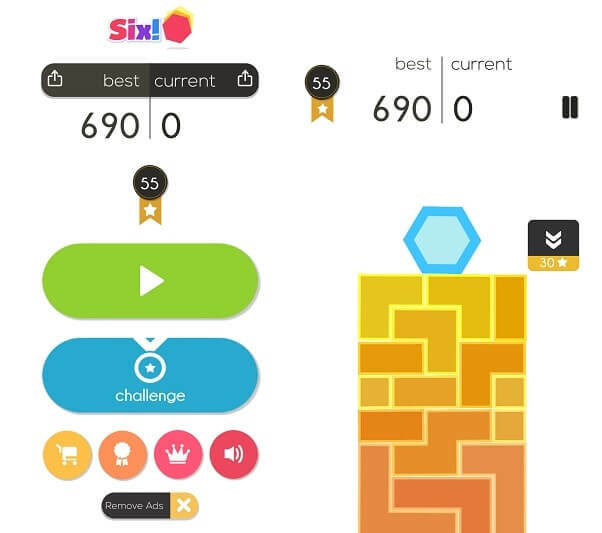 Six is one of offline best puzzle games, Which you can play without internet. There is two six-game available on Play Store, But original game is developed by Gram Games. In this game you need to interact with a block tower, contains various shapes. All you need to do is tap on bricks to disappear them, and try to get down the hexagon. It sounds easy?. But it isn’t. Hexagon falls from the tower if you tap on the wrong brick shape. The game comes with three difficulty level – hard, classic and speed. If you use this game with an active internet connection, then you will get daily Challenges. This game comes with normal ads, But if you play without internet then you will not get any. Requires Android Version – 4.1 and up. Get Six from Play Store. If you love driving simulation games, then this is one of best offline android games. This game is originally developed by SUD Inc. Due to the popularity of this game, developer of this Game launched Dr. Driving 2 this year. You can play this game without internet connection. But to use the multiplayer feature, you need an internet connection. Apart from the car, you can also drive a truck in this game. 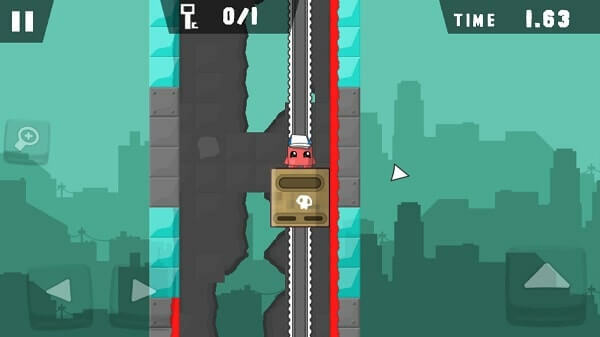 The game has many difficulty levels – like fuel challenge, Parking, Broken Brake, Truck, Lane, speed, highway and many Others. And these levels you can play in the offline mode of the Game. 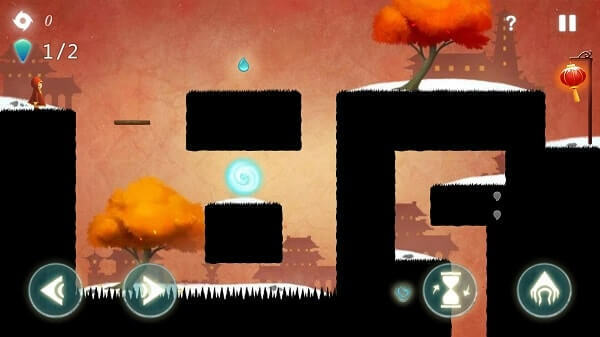 This game developer also created few more games, which is also free offline games. Like Dr. Parking, Dr. Rocket, Dr. Pipe, Dr. Pair, Dr. Solitaire and many more. Android Version requires – 4.0.3 and up. Get Dr. Driving from Play Store. If you like the endless running game, then this is the good offline Game for you. In this Game, you need to move forward to the opposite side of zombies. And if approx 5 zombies hit you, then you will get die. 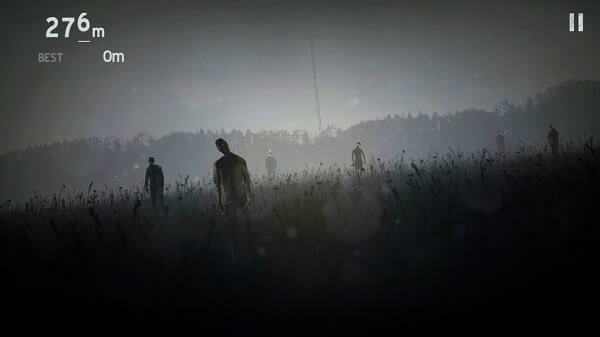 While playing the game you will feel like you’re into the gruesome world of zombie. You can also unlock some weapons to stay alive in the Game. If you play this game online, then you can challenge your friend, to beat your high score. The game comes with four different control scheme – tilt, touch, thumb-stick, thumb-stick mirrored. You can also select Graphics quality between Low to High. The game also supports multiple languages, So you can play the game in 15 different languages. Android version required – 4.1 and up. Get Into the Dead from Play Store. This game is small but not so simple, as much it looks. In this game, you need to stretch the stick to move forward on next platform. While moving from one platform to another, you also need to collect some berries. One thing that you need to take care of while playing this game is – don’t stretch stick to much or too Less. Else you will fall from the platform and will lose the Game. Recently, developers added “Slash Watermelon Mode” in this game, which is quite interesting. In this mode, you need to slash watermelon through the Stick. And then you can jump to the next Platform. This game is one of best offline android games. But it requires internet to update score on the leaderboard. Android version required – 2.3 and higher. 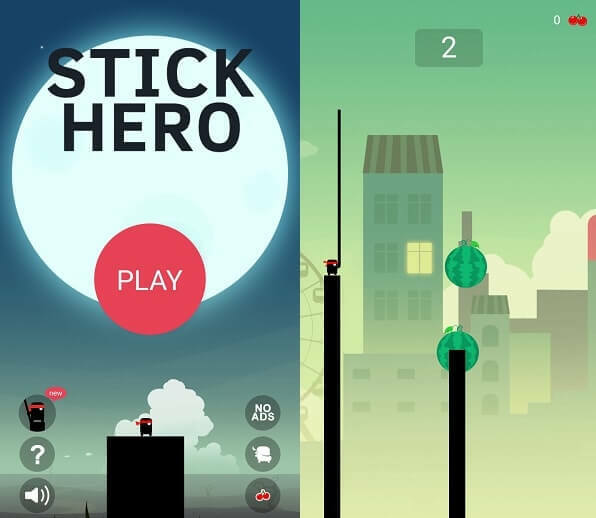 Get Stick Hero from Play Store. Mad dex is one of the best offline android games, which you can play without internet. This game is about a small but brave character, Mad Dex. His love of the life is kidnapped by a merciless monster. Currently, the game has 55 levels, And soon developers are going to add more. This game is quite challenging, you need to avoid all traps. Fight with the boss to save your girlfriend. With Mad dex, you can run, jump, and Stick to walls. You can play entire game Offline. But to upload score on the global leaderboard, you need an internet connection. The game comes with the peppy soundtrack and awesome visual Effects. After completing this game, you can also try out the second version of it. Android version needed – 3.0 and up. Get Mad Dex from Play Store. Deadroom is the best free Offline action game. The whole Game is based on black and white theme. This game has only 20 levels, but all are hard and Challenging. 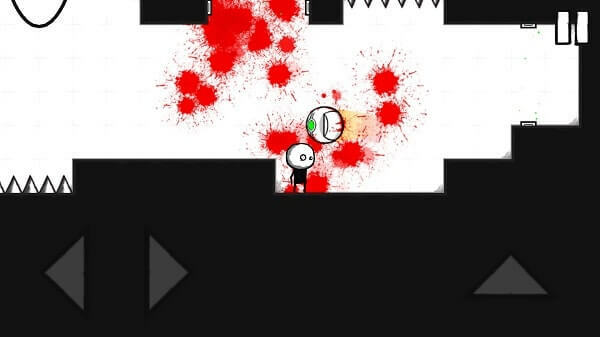 Enemies are in this game is extremely angry, and waiting to tear you apart. Each level has the deadly trap, you need to find a door to reach the next level. Recently, the developer added some checkpoints in the game. So if you die after the checkpoint, then you can continue playing from the last checkpoint. You can also change the character of the Game, but it requires an internet connection. Get Deadroom from Play Store. Maybe you already heard about this Game, Because it was available for JAVA mobiles. It is the best game of 2015, and wildly addictive best offline android games. In this game, All you need to do is jump on the platform, and archive high score. If you fall then you will lose the game. In between the game you also get the rocket launcher, to boost your score. The game comes with many fantastical worlds like – Ninja, Space, Underwater, Snow, Halloween, Pirated! While playing the game you will also find out some Black Holes. You can play the game offline. But if you want to update your score, then you need an internet connection. 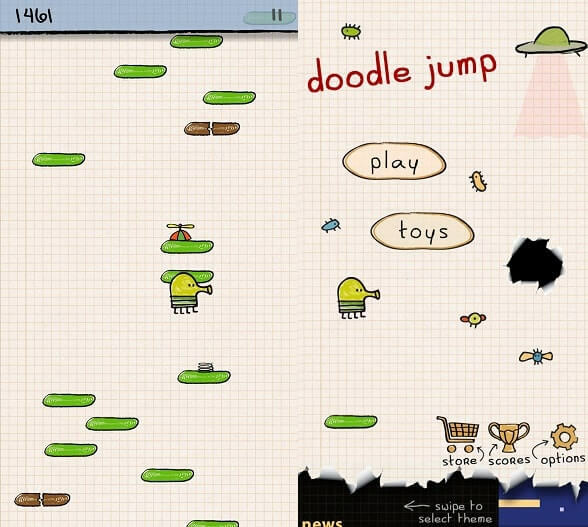 Get Doodle Jump from Play Store. This game is awarded “2015 best Games” and trust me it is top best offline game. The whole game run in the mirror world, you can flip the scene to find new path and opportunities. In this game, you can reverse gravity, manipulate space and can bend time. This Asian music of this Game is very nice, it will give you the relaxed feel while playing. The story is about Jennifer, who is lost. But still, have hope in the journey after death. The game has the leaderboard, which shows your position, according to country, world, and friends. Last year, this game was available in the paid version, but now this game is Free. Get Lost Journey from Play Store. This game is one of best offline android games, which is based on fun physics. 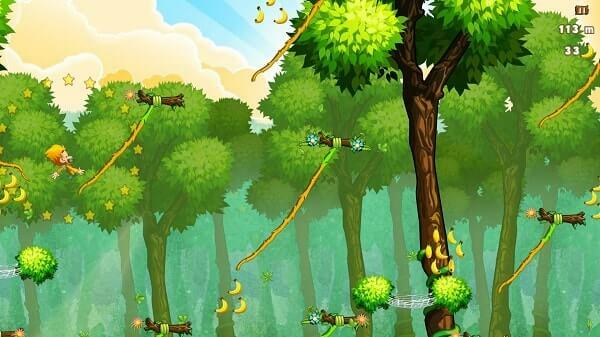 This game character is the monkey, you need to help him to collect bananas and jump from vine to vine. With bananas, you can upgrade your power, so more banana you collect, more power you get. The game comes with various landscapes – temple, waterfall, and jungle. You can also cloth your monkey in a ninja costume and gas mask. Also, you can upgrade or change ropes – snakes, vines and burning ropes available. Special power packs also available – chili boost, eagle ride, and jet-pack. LIMBO is paid, but one of best adventure games that you can play without internet connection. At first, this game was only available for Windows PC, but now it is also available for Android. This game cost you around $5, but trust me it’s worth it. The story is about a boy, his sister is lost. And, he is trying to find her in a dark world. The game is quite interesting, there are various puzzles that you need to solve to move forward. I can’t describe this game in words, the demo version of this game is available. Which, you can download if you don’t want to pay. Get LIMBO from Google Play Store. 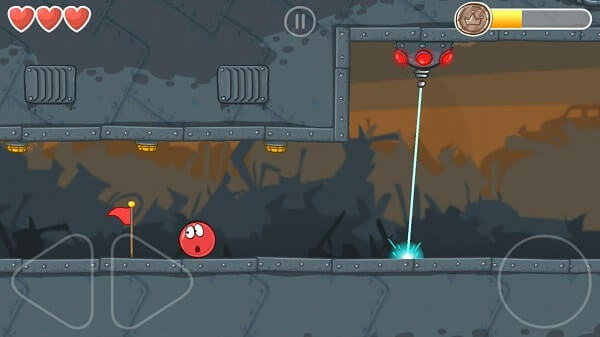 It is the most addictive and entertaining game, which is based on physics. There are many similar games available on play store, but this is one of the best offline android games. Games come with lots of cars, which you can unlock by collecting coins. You can also upgrade your car engine and fuel tank to complete levels. The game comes with so many levels, even moon level also available. In moon level, you can also fly your car and can collect coin in the air. If you use this game with internet connection then also you can share your score with your friends. Garage mode also available – In which you can build your dream vehicle with custom parts. The game has total 27 + levels and 28 + vehicles. Levels aren’t easy, but still, if you complete then you can download second part of this Game. 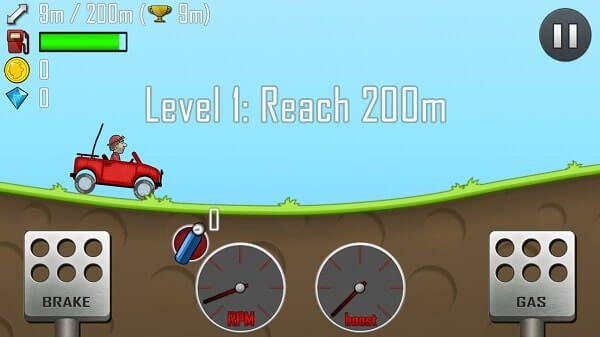 Get Hill Climb Racing Game. Summing-up Best offline android games. These are the top free offline android games, which you can play when your internet doesn’t work. Recently, mine internet wasn’t working because of Jammer (Device that block mobile signals) in my City. And, I did spend most of my time in playing red ball 4 game. Still, there are more top offline games available like – Cut the Rope, Fruit Ninja, BADLAND, Leo’s fortune, Rayman adventure. But most of the good games are paid. And some games are already popular, so everyone knows about them, like subway surfers. If you know about any other free offline android game, then feel free to comment. Previous ArticleFix Widevine Content Decryption Module missing or not updated. 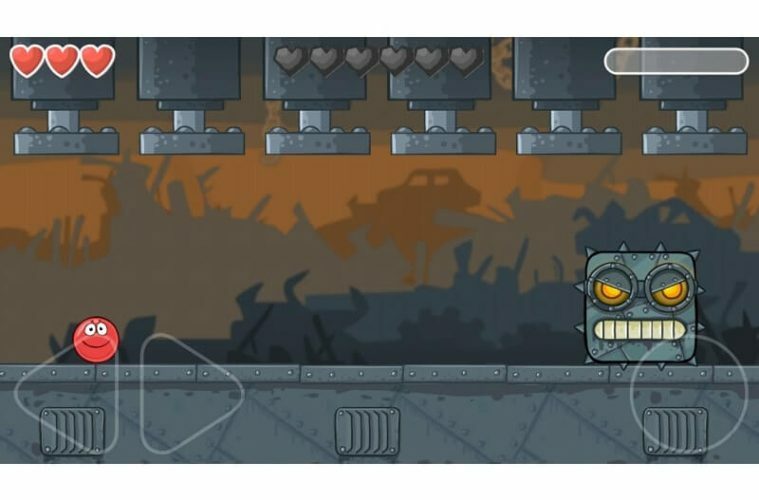 Next ArticleTrap Adventure 2 Android – Similar Games like trap adventure 2. Things that you can do If your phone not Charging. 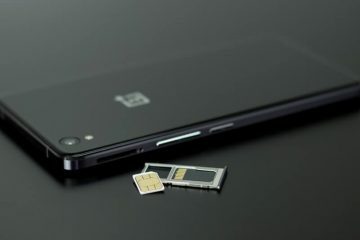 How to Fix Mobile Network Not Available / No Phone Service Error. Top 5 Android Apps for Mobile and Desktop Use.